Jared was a great rep and did a fine job! Solved my problem fast I mean it only took 15mins. Jay knew what needed to be done to correct the issue ! Very knowledgeable. Jared was friendly, thorough, and informative. Jay Schreck did an excellent job from start to finish. Both my wife and myself appreciated his knowledge and professionalism. Jay was extremely knowledgeable and helpful. He worked efficiently, called me when he was on his way. He was also very clean and respectful of my things. Jay was outstanding!!!! He did a great job explaining the problem and fixing it. Very knowledgeable, will definitely use again. The online tracker was great. Fantastic service, Jay is one of the most knowledgeable technicians I have had in my 40 years of service calls. He is fast, through, and professional and sets a very high benchmark for all other technicians. Very thorough repair and courteous technician. The only thing I missed was getting a statement for the refrigerator repair. From the first phone call contact I was impressed. Great service. 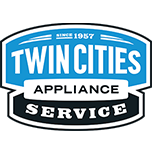 WASHER WHIRLPOOL WTW7500GW0 "Check over unit ran diagnostics found water temp code, replace valve noise was coming from water stopping and filling, new part took care of both problems..; used 1 W11165546 (VALVE) from stock"
RANGE WHIRLPOOL WFE550S0HZ1 "Cust concerned they are still getting an odor from the oven when using after almost three months. I explained that newer ovens will continue to have odors months or even years after purchase because of the materials used and it is not harmful or a sign that something is wrong. Ran temp cycle, temps right on. All ops good"
M/W OTR WHIRLPOOL WMH53520CS5 "Cust getting open close door error then unit went dead. Installed new door switch cam kit and fuse on noise filter board. Tested, display working, unit heating normally; used 1 W11244490 (INTERLOCK KIT), and 1 WPM0805101 (20 AMP FUSE) from stock"
ELEC DRYER WHIRLPOOL WED4815EW1 "Getting 100v from l2-l1 should be 240v , only 15 v from l2-n and 20v from l1-n these should be 120v, customer will need an electrician"
MICRO/OVEN WHIRLPOOL WOC75EC7HS00 "Cust having issues with microwave again, but different than last time, and sometimes display will go completely blank or not respond to button press. Entered diagnostics and got a whole bunch of error codes including microwave temp sensor, humidity sensor, mag sensor, MW generation error, and several more to do with communication. Cycled power 5o unit and tested microwave, heating normally and sounding normal. Ordering user interface to tech. Cust travels a lot and does not want it sitting outside for several days. Part does not show availability, please x-part; ordrng 1 SHIPTOTECH (DIRECT TO TECH) and 1 W11111367 (CONSOLE)"
DOUBLE OVEN WHIRLPOOL WOD51EC0AS00 "Pulled unit out on dolly and installed new control board and two speed blower as per the instruc5ions in kit. Tested unit, both ovens now working and heating properly. Remounted in wall, all ops good"
WASHER MAYTAG MVWB850WR0 "Tub is rusted to shaft, need bearings and ccu, cust to get new machine"
WASHER MAYTAG MVWB765FW2 "Replace parts, calibrate, run test cycle, ok"
WASHER MAYTAG MVWB765FW2 Would need board and main wire harness power cord melt at the connector to board and melt board at some spots too....called tech line to verify about unit tech line gave sr #7724406038 for customer to call in..
REFRIGERATOR WHIRLPOOL WRT318FMDM02 "Cust had found a lot of water on the floor shortly after hooking up the water and turning the icemaker on. Turned icemaker off until about 12 hours before we came. Icemaker had been cycling with no visible leaks. Pulled unit out on pad and cycled icemaker. Checked valve and all connections during fill, no leaks, all good." DISHWASHER WHIRLPOOL WDT970SAHV0 "Not using rinse aid, no error codes, run test cycle, ok, instruct drying, soap and rinse aid usage"
MICROWAVE WHIRLPOOL WMH31017FS0 "Cust concern vent fan not pulling enough air, can still smell food when cooking. Explained to cust that the vent fan in a microwave will not pull as much air as a range hood because the blower motor is not as large. Used a piece of paper towel to demonstrate that the fan is in fact pulling air and is functioning as it is designed"
WASHER WHIRLPOOL WFW95HEDWC0 "Found shipping pins still on from moving she came from Texas, had to use air sled to move it out to get to shipping pins remove it ran diagnostics it went thr fine no leaks spin/wash good..with no codes.."
RANGE WHIRLPOOL WEG515S0FS0 Install cooktop panel check over unit tested out good..
REFRIGERATOR WHIRLPOOL WRS325SDHV00 "Icemaker not cycling, keeps double filling and getting jammed up, needs new icemaker; ordrng 1 WPW10300022 (icemaker)"
MICROWAVE WHIRLPOOL WMH31017HS2 "Mounting nut stripped out and stuck on bolt, both need to be replaced, will need to use dremel to cut bolt head off and take down unit install new nut and reinstall, SHIPTOTECH ; ordrng 1 SHIPTOTECH and 1 W10821385 (hard-mount) and 1 W11122643 (NUT)"
WASHER WHIRLPOOL WFW85HEFW1 "W10363953 dryer panel returned, new door damaged, need to order new one, call when coming back; ordrng 1 W11221959 (DOOR OUTER)"
WASHER WHIRLPOOL WTW4855HW1 "Drain pump stuck on, cancel cycle, no error codes, calibrate, run test cycle, ok, if happens again order new ccu"
RANGE WHIRLPOOL KDRS407VMW "Screw holding top front corner of right side panel had popped out, side rail loose and rattling. Found hole in frame where screw goes in stripped out. Used different screw to secure side rail to frame and made sure t was tight. All good"
REFRIGERATOR WHIRLPOOL WRS325SDHV00 "Installed new ice maker, made sure level, unit cycled and fill unit working ok, no leaks, inst cust to dump first load"